Following a lively weekend of Liga action, in which the two points dropped at home to Celta proved considerably less damaging to Barça’s high-flying position than initially feared, the tension is off for a midweek Champions League fixture with only honour at stake, as the Catalans are already through to the last sixteen as group winners. The Barça coach is without Arda, A.Iniesta, Dembélé, Rafinha, Mascherano and Umtiti due to injury, the latter having damaged a hamstring on Saturday in the 2-2 draw against Celta at Camp Nou and he is expected to be out for around 8 weeks. Nélson Semedo and Gerard Deulofeu return to the list after missing out against the Galicians at the weekend. 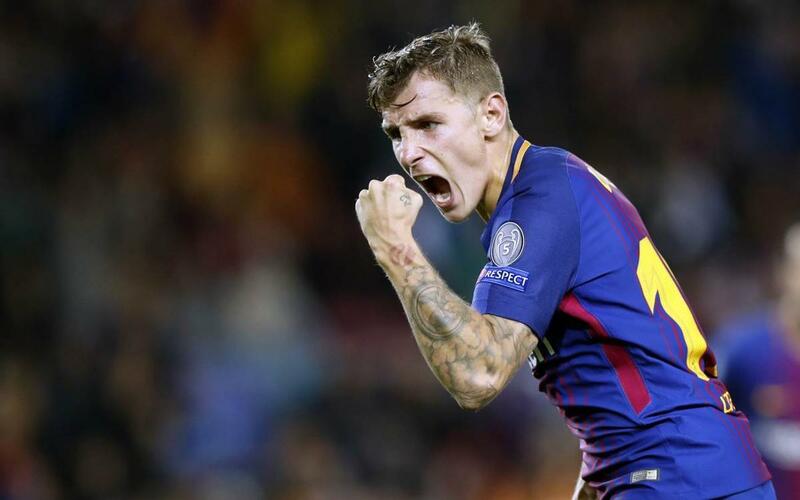 The 18 man squad is the following: Ter Stegen, Semedo, Piqué, Rakitic, Sergio, Denis, Suárez, Messi, Cillessen, Paulinho, Deulofeu, Alcácer, J. Alba, Digne, S. Roberto, André Gomes, Aleix Vidal, Vermaelen. Argentinian left-back Jonathan Silva is the only casualty in the visiting line-up with a knee injury. Five points clear at the top of the Liga table and already guaranteed top spot in Champions League Group D, the season is progressing nicely for FCB, who are still unbeaten in both competitions. After Porto were held by Benfica at the weekend, Sporting are now joint top of the Portuguese first division, but in the Champions League they not only have to win at the Camp Nou, but also need Juventus to fail to beat Olympiacos in Greece. After losing on six of their last seven road trips in the UCL, the odds are stacked against the visiting side, especially against a side that only conceded one goal in its first five matches. But at least they have the consolation of a Europa League berth guaranteed whatever happens. This is Sporting’s third competitive visit to the Camp Nou following defeats in the UEFA Cup (1-0 in 1986/87) and the Champions League (3-1 in 2006/07). Wherever we look, the historic stats are in favour of Barça, who have never lost to a Portuguese side in the Champions League era, while Sporting are still looking for their first win against a team from La Liga. For anyone unable to watch this game on any kind of screen, the best solution is to listen to our live commentary on Radio Barça. The link will appear on the home page shortly before kick-off. Failing that, you can follow our Twitter feed for regular updates, photos and much more as it happens.